In the age of data-mining and social media, it rarely feels like games have much mystery left. The folks over at Team17 are trying to change that just slightly by teasing some new content coming to Overcooked 2. Luckily, we don't have to wait long, as whatever is being added to the game will be available on October 3rd. That's not too far from now, and for anyone reading this article on October 4th or later, it's already happened! Isn't it crazy how time works? I'm seeing lots of fruit, sand, and beach accessories. Maybe we'll finally get that D-Day crossover level I've always wanted. Or maybe Overcooked 2 is getting an island-centric Battle Royale mode. Regardless, we'll find out in a few days, so be sure to check back here once all is revealed. 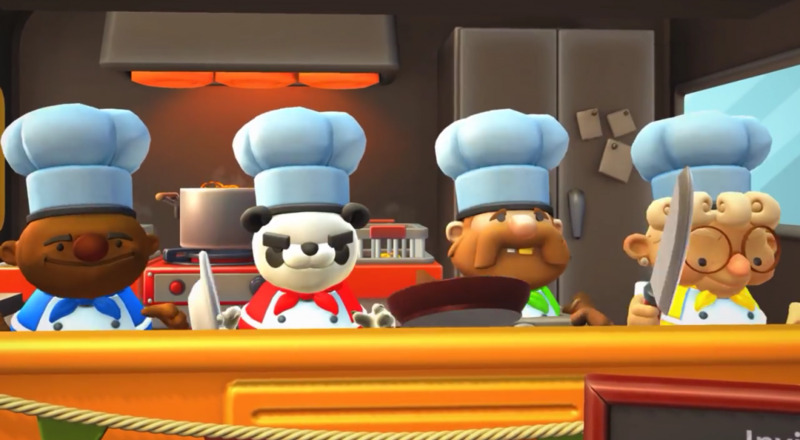 Overcooked 2 is out now on Nintendo Switch, PC, PlayStation 4, and Xbox One. It features online and local co-op for up to four players and allows any combination of local and online users in the same group. If you're curious to know more, check out our review here. Page created in 0.4726 seconds.